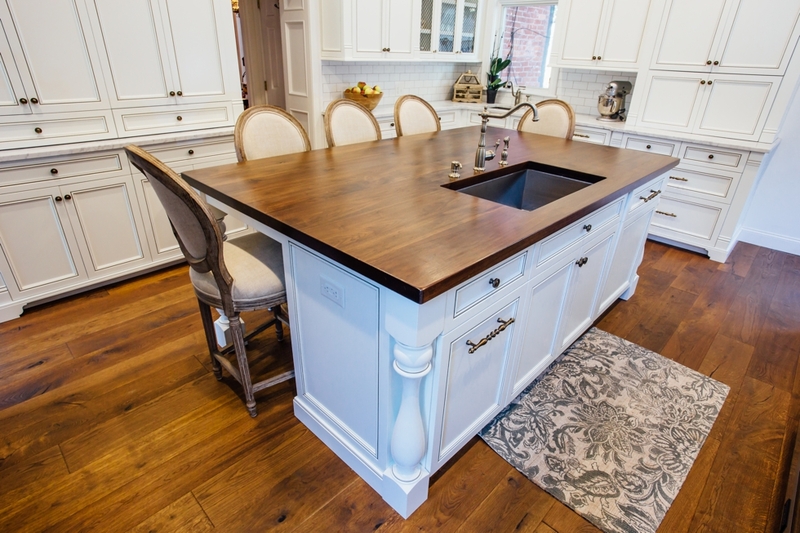 This breath taking kitchen is located in a historical home in the heart of Fredonia, NY. 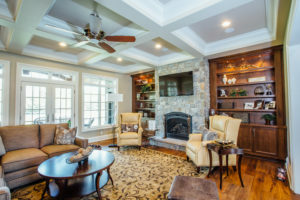 There are loads of customized features that really set this design apart. 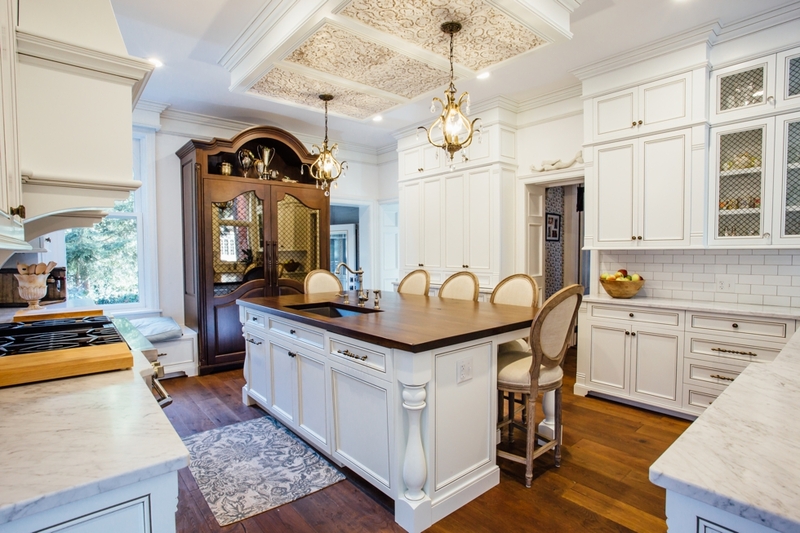 For instance, the beautiful light soffit above the island is inlayed with tin tiles, hand painted by the home owner with an intricate pattern that draws your eye upward and accentuates a pair of brass and crystal chandeliers. 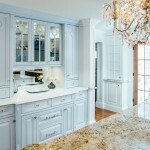 The star of the kitchen really is the one of a kind refrigerator cabinetry and paneling. This fully integrated side by side by Thermador allowed Elite Designs to install custom walut panels to the refrigerator and freezer doors. The walnut panels are inlayed with a antique brass wire grill that overlays a bronzed mirror. 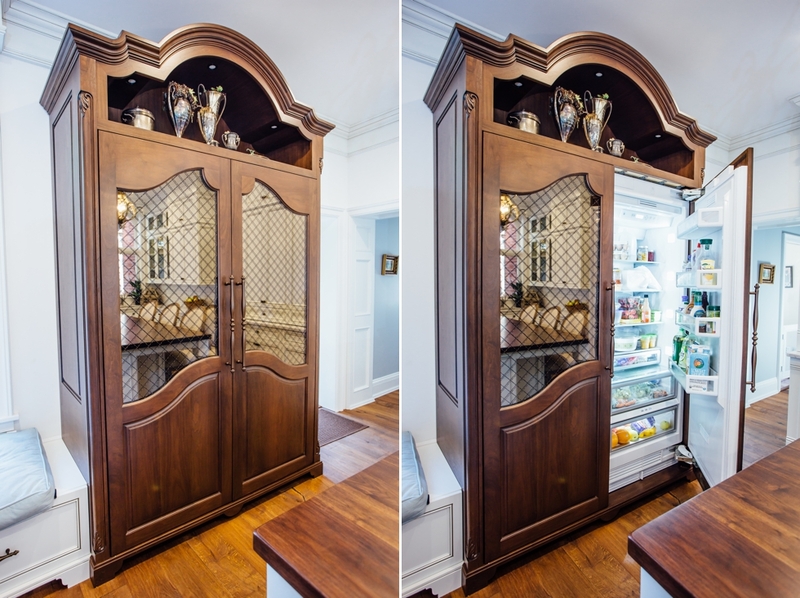 All the little details really make this piece more like a custom armoire rather than your everyday refrigerator! 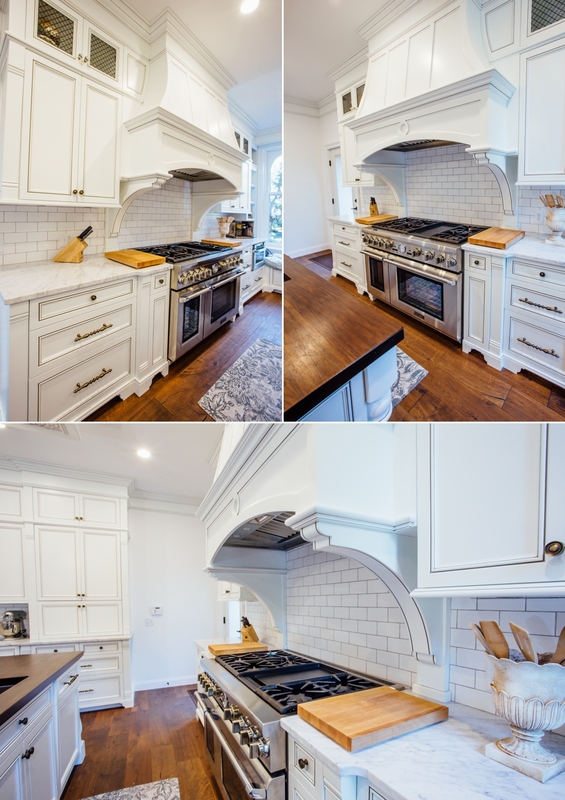 The impressive Thermador range is accented with a timeless subway tile backsplash and matching glazed arches. The small drawers flanking the oven contain pull outs that are the perfect size for spices and cooking oils close at hand. 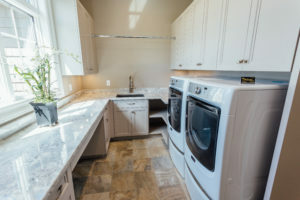 White and grey Carrara Marble lines the perimeter counters throughout the kitchen, while the island is topped with a warm solid walnut countertop. 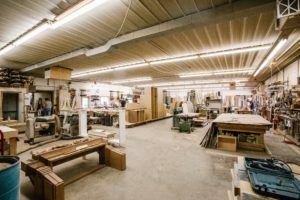 The wood countertop is finished with a waterproof material that causes the water to bead right up, erasing any worries or stress about water damage. 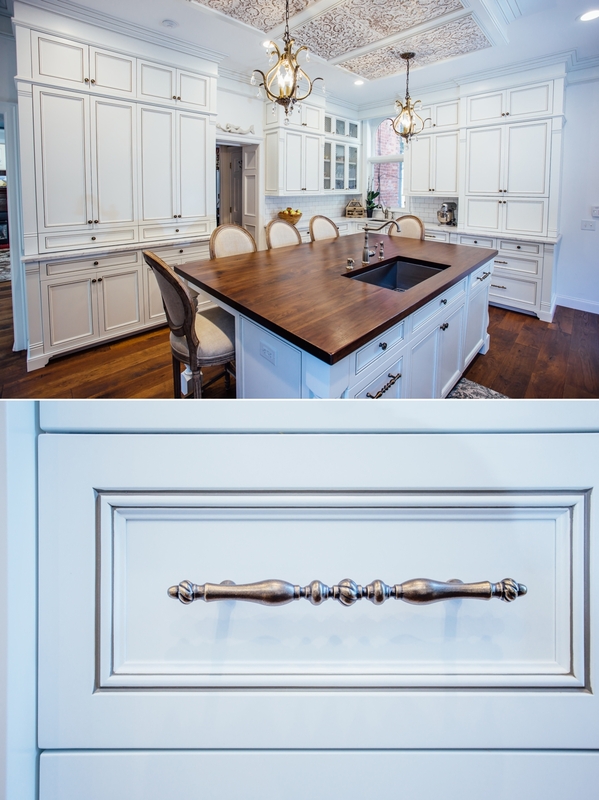 The white cabinets and the contours of the recessed panels are highlighted with the darker glazing and accented by scrolling German Bronze hardware. 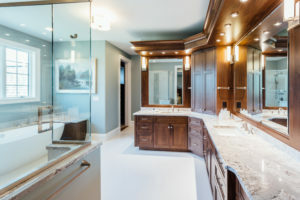 At Elite Designs we utilize a hand wiped technique of glazing that leaves behind accented tones in the corners and recesses of the cabinetry, creating a slightly more antique look. 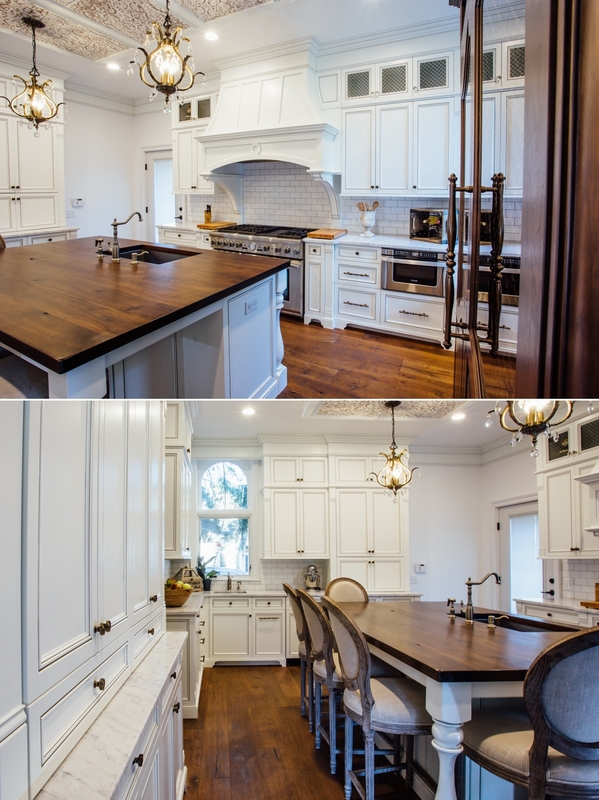 Not only is this kitchen beautiful, it is also full of functionality. For example, the doors below pull back in an accordion style to reveal a Keurig coffee maker and toaster oven. 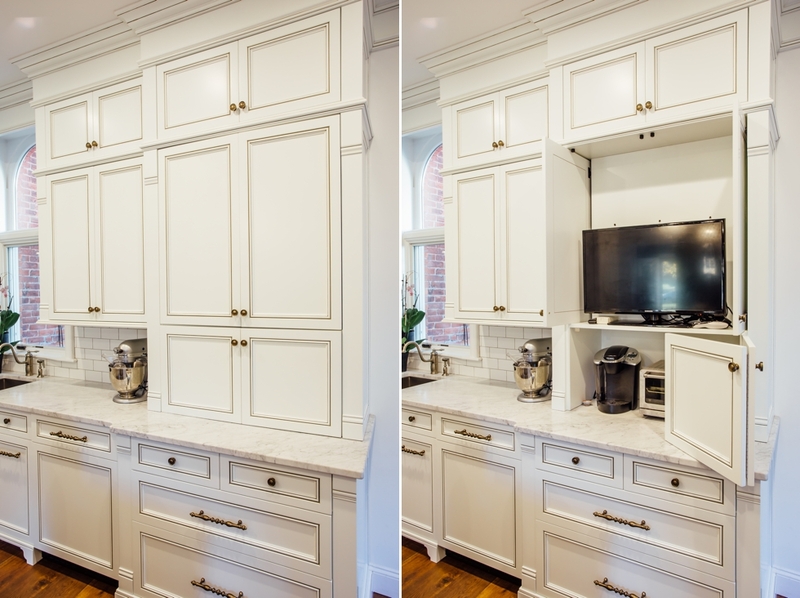 The doors above pull out and then retract in to reveal a conveniently concealed television.